Last week I was lucky to be invited to the official store opening of the new Rituals in Luxembourg city where I got a budget of 150€ to shop whatever I wanted. (Remember that I'm keeping you up to date with store openings in my special blog section here.) I did the unpacking of my haul on Instagram stories but I'm sure I'll be showing you the products on several occasion here on the blog, too. 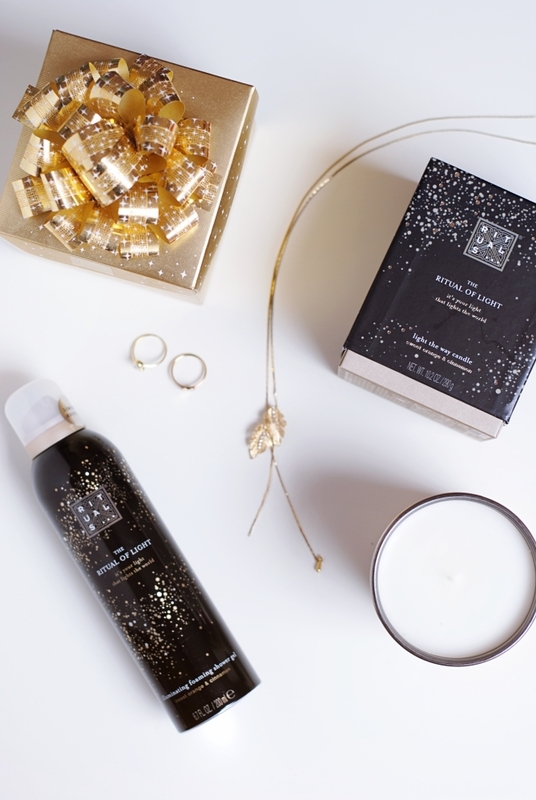 The first two of them that I now wanna talk about in detail, are the shower foam and candle from Rituals' Christmas collection called 'The Ritual of Light'. The collection consists of the typical Rituals products like body creams, fragrance sticks or bath foams (see it all in the last picture). The scent of all products, and flavour of the belonging tea, is 'sweet orange and cinnamon'. The olfactory result is rather tangy and has almost nothing of the typical Christmas scents except for the spiciness. It is also quite different from the usual Rituals scents which tend to be too strong for me. 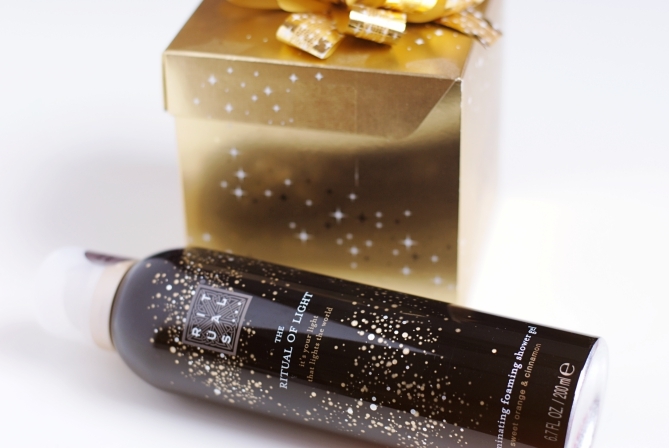 The scent and the black and golden packaging make it the perfect present also for the male Christmas lovers in your life. I absolutely had to get the candle from this collection, because what's better than scented candles in fall/winter? It is available in small (18,50€) and XL (44,50€). The second product I chose is the foaming shower gel (8,50€) because it's my favourite product from Rituals (as you might know from my empties posts). The last thing I want to talk about in regard to this collection are two new Rituals perfumes. They don't go under the name of 'The Ritual of Light', but have a matching design in black and gold. I had never tried a Rituals perfume so I was really surprised when smelling the 'Voyage en Inde' scents for him and her. The women's perfume actually reminded me of Tom Ford's 'Black Orchid' which is my favourite for the colder months. 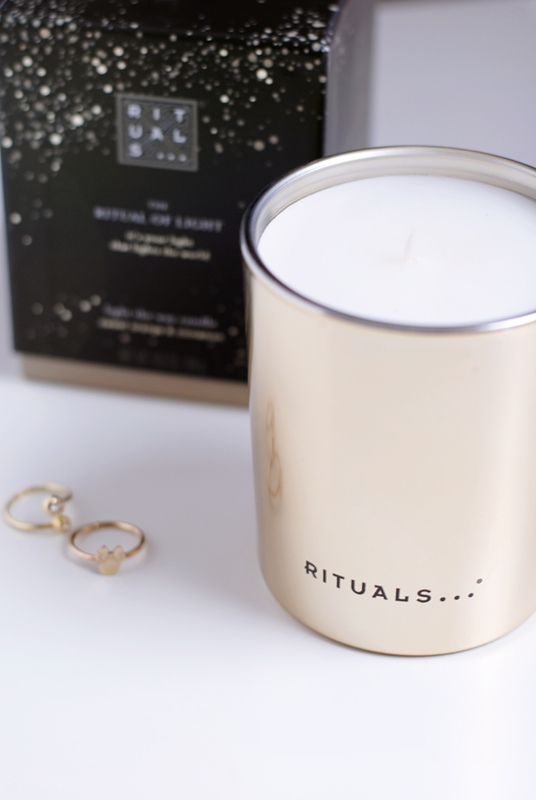 The Rituals perfume contains jasmin and patchouli, making it a rather heavy scent, which I adore! The male perfume is equally heavy and also has this smoky note. Both really try-worthy and together an ideal present for a couple who's into scents. You can find all products in your nearest Rituals store or online.